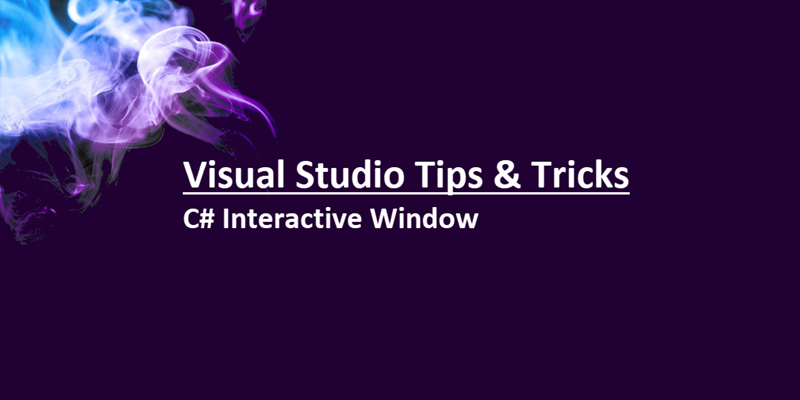 Using C# Interactive Window, we can do a lot of things to execute our code without compiling the entire application. It allows you to see the output of your code by just entering it in the C# Interactive Window. You can even enter C# using directives inside the window to refer a particular namespace. While you are writing too many lines of code, and executing the output for each entered block, its sometime difficult to copy each one of those blocks into the main code editor. Visual Studio provides a quick function to enable you to copy only the code portion, excluding the outputs. Once the code has been copied to the Clipboard, it will be available to paste in any editor window. Remember that, this feature copies only the code part. If you have come this far, it means that you liked what you are reading (Do you know that, you can easily copy code from C# Interactive Window? ).